“I live in the City now, but I spent most of my life in Tower Hamlets.” she added as a qualification, just in case I should take her quip in the wrong spirit. Although Irene has ascended to the lofty heights of a flat in Petticoat Tower on the City side of Middlesex St, she was not bragging that she had gone up in the world, but rather admitting that her heart remained back on the other side of the street where she started out. 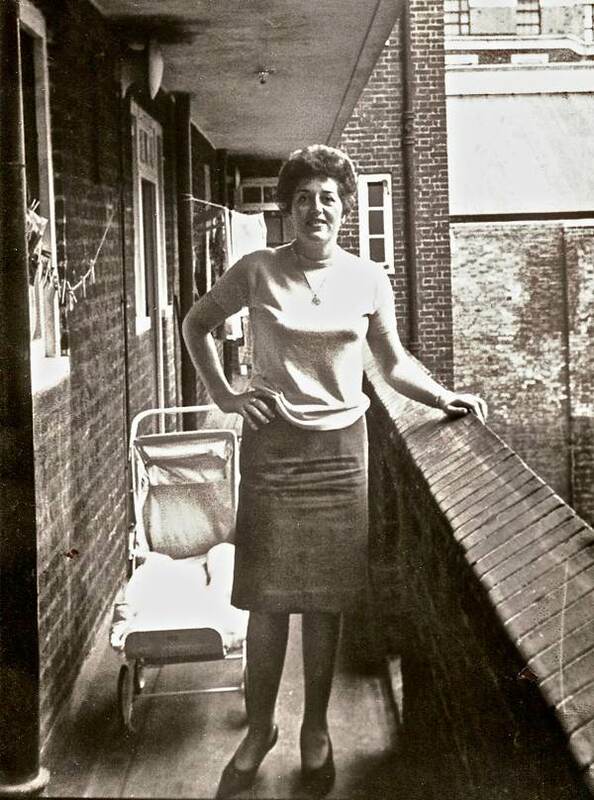 And when I went to visit her and her husband Ivan, I understood the difference at once, as I climbing the steps from the shabby Petticoat Lane Market into the well-tended courtyard garden of Petticoat Tower, quite a contrast to comparable developments in Tower Hamlets. In the hallway of their flat on the seventeen floor more plants flourished, these were tended by the Kingsleys. I had only a moment to contemplate them before Ivan appeared to hustle me through the modest yet comfortable flat to the living room where Irene was waiting. Then, as I entered, my eyes were drawn by the yawning chasm of the view over the City from their window. “Everyone goes straight for the view!” Irene declared, exchanging a knowing smile with Ivan. “We used to be able to see the Tower of London, until they built that,” she said, indicating a blue glass block. 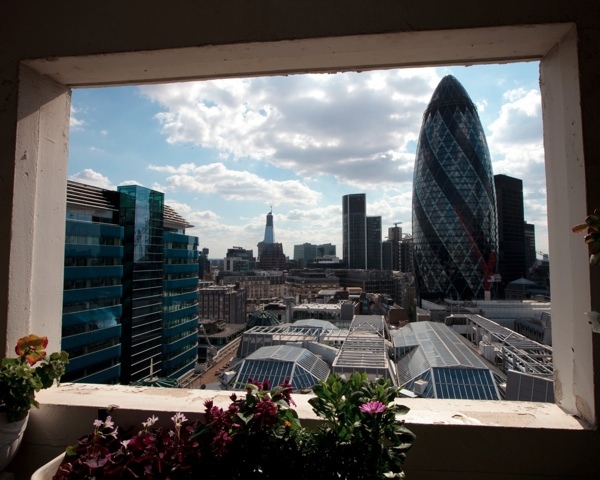 “And we could see the Monument, before the Gherkin went up,” said Ivan, pointing in the other direction. With such an astonishing prospect, I could understand how anyone might get a little proprietorial. “We’ve seen a lot of changes in Petticoat Lane.” Irene admitted to me as we sat down, and exchanging another a glance with Ivan which was the cue for him to serve tea and biscuits. I knew this was the beginning of her story. “I was born in Brune House in Toynbee St. My father was a bus conductor and my mother was a seamstress.” she explained, “My grandfather was a cobbler in Artillery Passage and my grandmother had a tea stall in Leyden St, she had seven daughters and they all worked with her, and as time went on all the daughters had their own stalls and they were passed down to grandchildren. I left school at fifteen to work in the office of a clothing factory in Golding St, near Cable St. Until I was fifteen, I lived at Brune House, then I to moved to Herbert House nearby to live with my aunt, she had a daughter of her own and she took me in because I lost my mother. She treated me just like a mother, she took over as my mother. At this point Ivan and Irene exchanged big smiles, because this was the part where it became a shared narrative. “We both started out as casual traders,” continued Irene, still looking at Ivan and saying “casual traders,” as if it were a term of endearment, “You had to put your name down on the list and wait around until there were available pitches and it just happened that while we were waiting we used to go to a cafe together. Then the old lady at the stall next to us, she had a granddaughter and we were both invited to the Bell for a celebration and we haven’t look back since! By now, I realised where this was going, because like Irene, the climax of Ivan’s story was becoming a market trader. Irene and Ivan had stalls side by side and then they combined stalls, unifying their presence in the market, just as their lives became intertwined in marriage. “I retired from the market three and a half years ago when my husband was seventy-five and I was seventy-two, so we feel we’ve done enough.” explained Irene clasping her hands in satisfaction. Yet both acknowledge that trading in the Petticoat Lane Market was a highlight of their existence, a source of livelihood, a social education and a romantic adventure too, which all goes to prove that sometimes the gutter can be a better place to be than the pavement. Irene & Ivan Kingsley in their flat in Petticoat Tower. 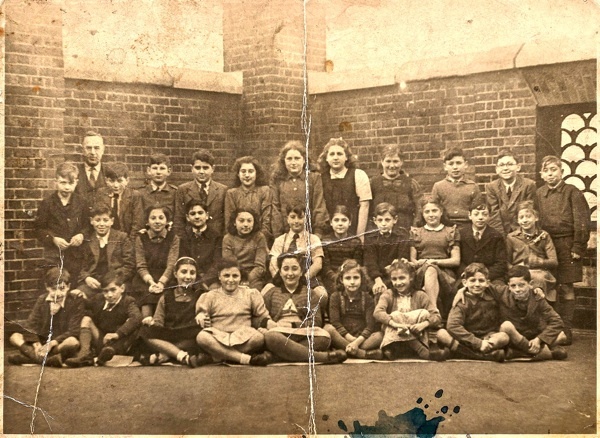 Irene at Canon Barnett School, 1947 – she is the sixth from the left in the back row. 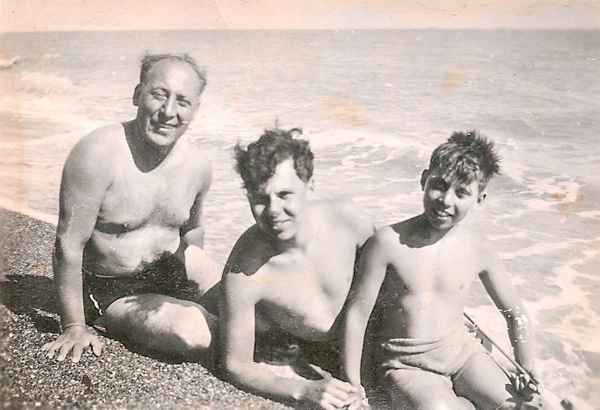 Ivan (centre) as a young man on Hythe Beach with his family. 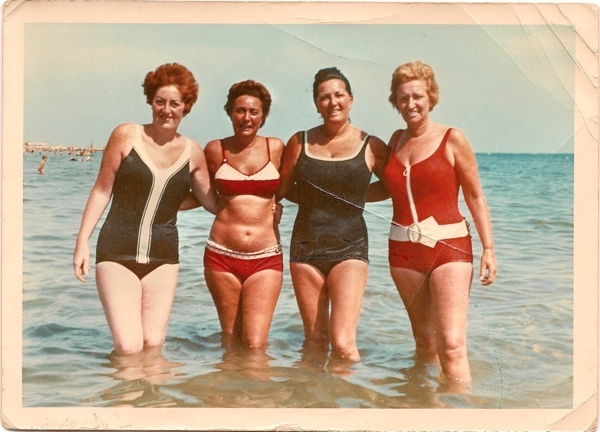 Irene (left) at Riccione Beach in 1970 with her friends Phyllis Gee, Stella Spanjar and Celina Martin. 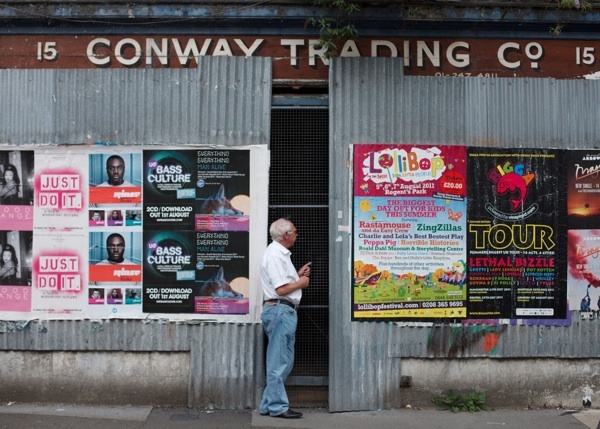 Ivan returns to Conway Trading on Toynbee St where he worked in the seventies. Ivan tried to lease it from the council thirty-five years ago but they refused and it has been empty ever since. 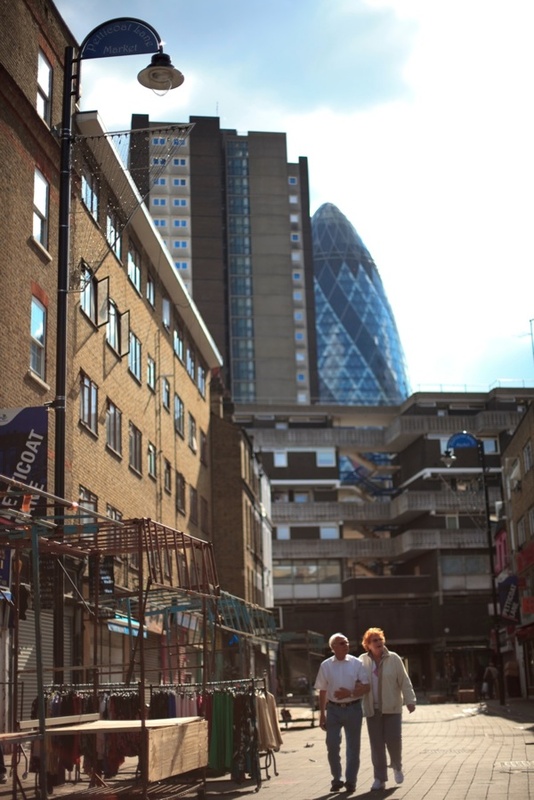 Irene & Ivan walk through Petticoat Lane Market, in the shadow of Petticoat Tower. Looking towards the City from Irene & Ivan’s flat in Petticoat Tower. Reading this post was the perfect way to start my work day. The office is still quiet and I was able to disappear into Irene and Ivan’s world through your words and photos. Thanks for the trip – I live in Ontario, Canada. I’m a new subscriber to your amazing blog – LOVE it! My grandson read me your wonderful story today before dinner. Irene, it sounds like we both found love on the lane – wishing both the very best and I look forward to seeing you soon. What a lovely article, gentle author. The Lane has lost its characters, I’m afraid. Irene and Ivan are part of a generation that defined the area and embodied that spirit of resilience and hard work that sadly doesn’t seem to be there much these days. I feel honoured to have the lovely Irene and Ivan as my clients within my hair salon. My grandarents worked and grew up in the East End as market traders also.I feel I have a family legacy here too. So I was touched when Irene found me and allowed me into her world and a re connection of old times. They are treasures themselves and treasures of the East. We found your website as we promised we would! It’s wonderful to read your story and see your photos. Funny the way we met, but hopefully we’ll be friends for always! Take care, and enjoy your holidays and your amazing views. It was great to see a picture of Irene on our roof plyground. Irene, I would love to invite you into school to talk about the time you spent at the school. Ring or email if you would like to. 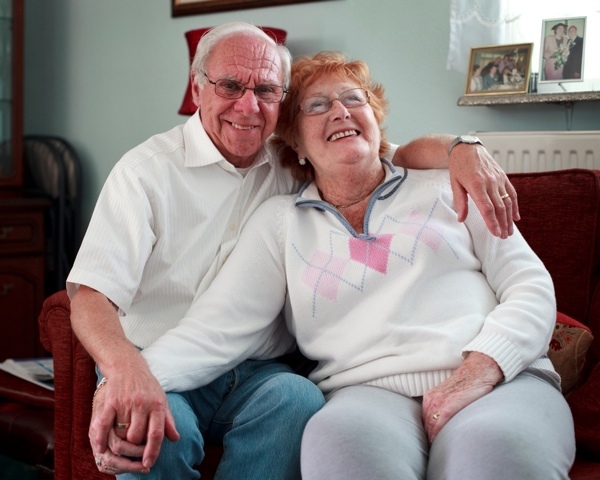 I have had the pleasure of meeting these two people on many occasions over the years. My mum Rosetta and aunt Sally nee Bensusan are actually in the old school photo. My mum thought of Irene as a sister and I regard both of them very fondly indeed. They are truly charming people. You may notice that I used the past tense when referring to Irene, as we sadly learnt of her passing this week. The flavour of her spirit is clear in this lovely article. She was such a gentle caring person with an enormous heart. As a child I used to look forward to their visits, and, after once jokingly commenting that I wished my parents had called me Joshua, they always remembered this and called me Josh from that moment on. I read this article to my mum today, when she learnt of the sad news and showed her the photographs, they both made her very happy.